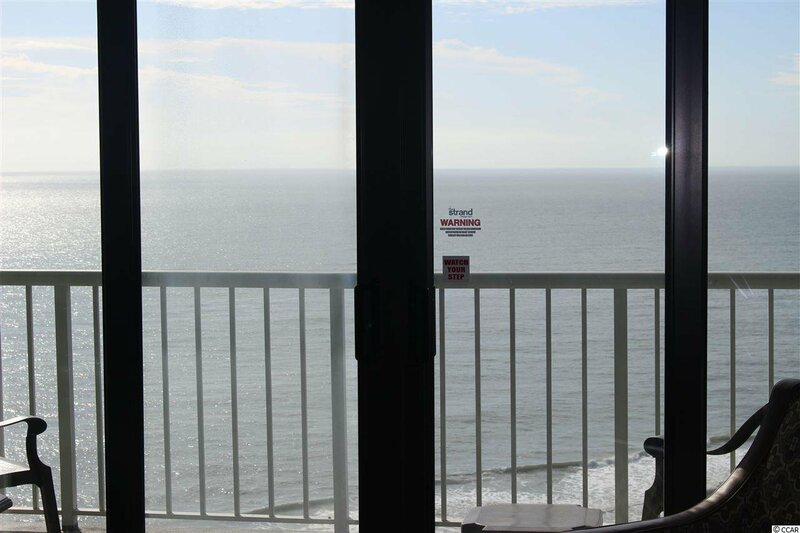 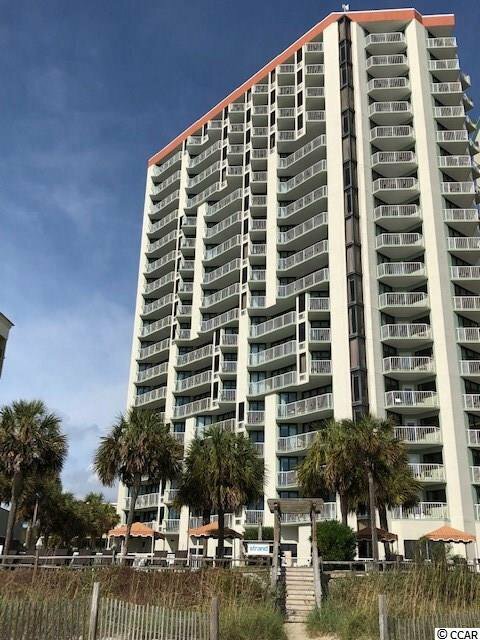 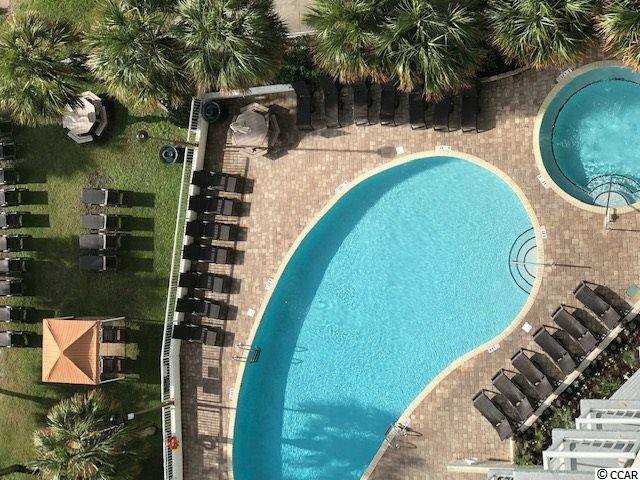 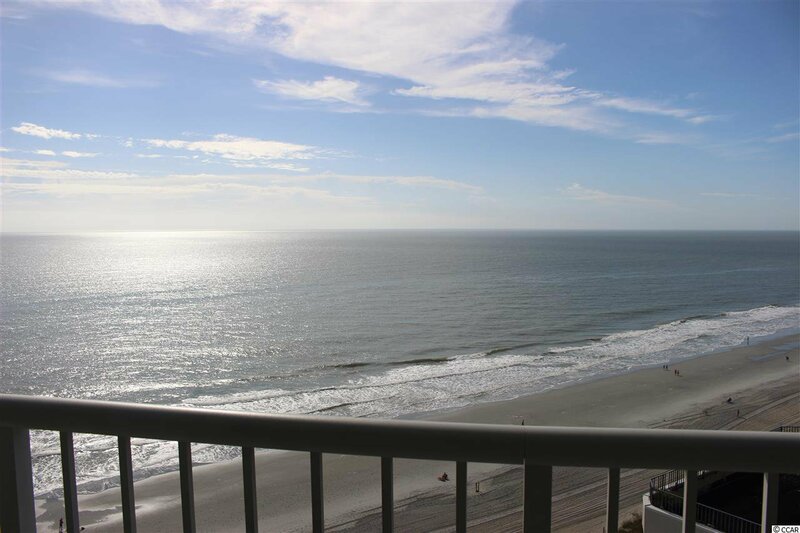 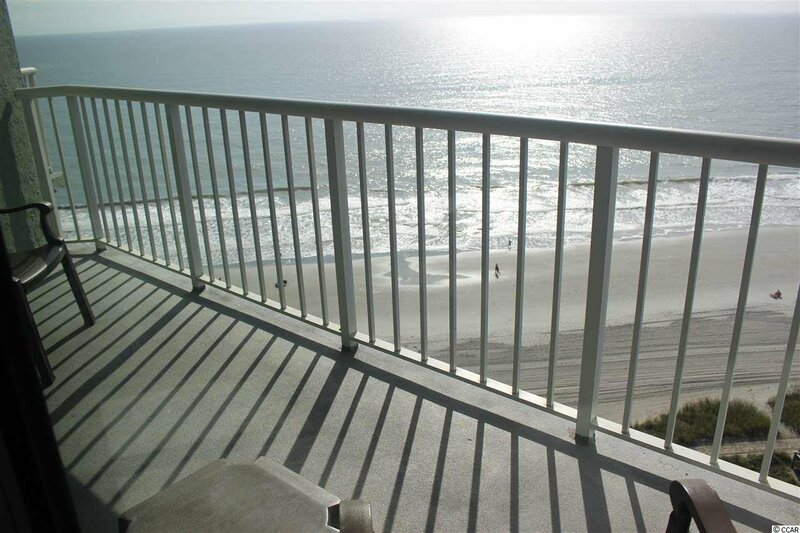 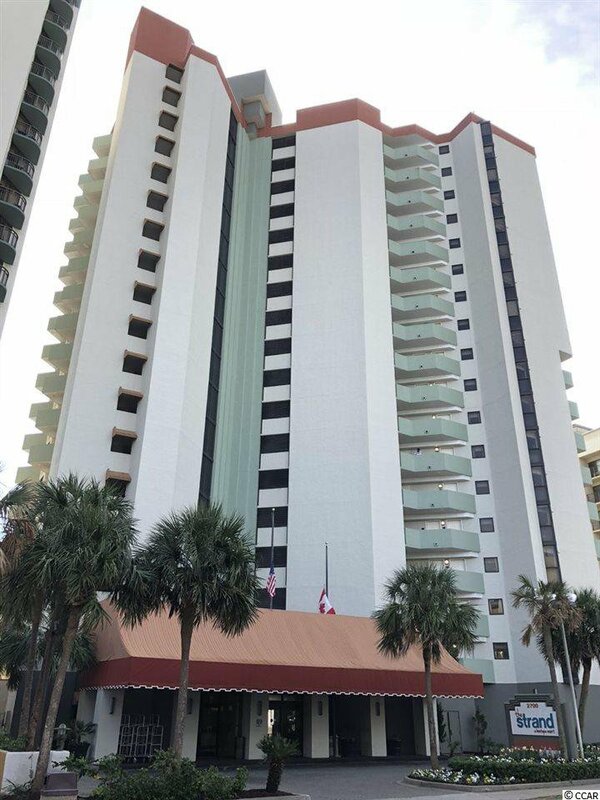 Here is your chance to own a true ocean front unit in the highly sought after Breakers Resort Complex! 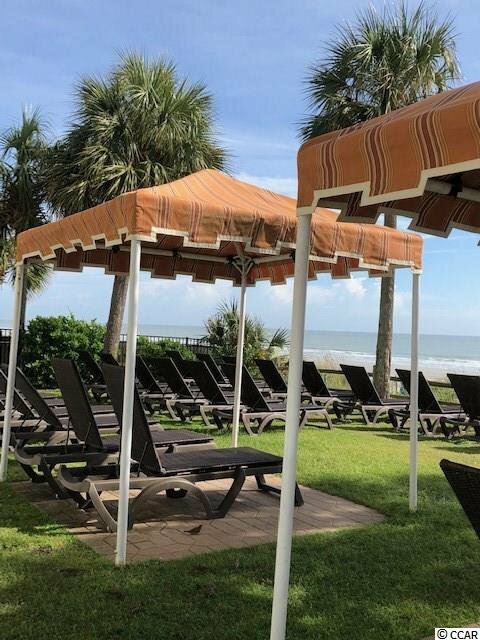 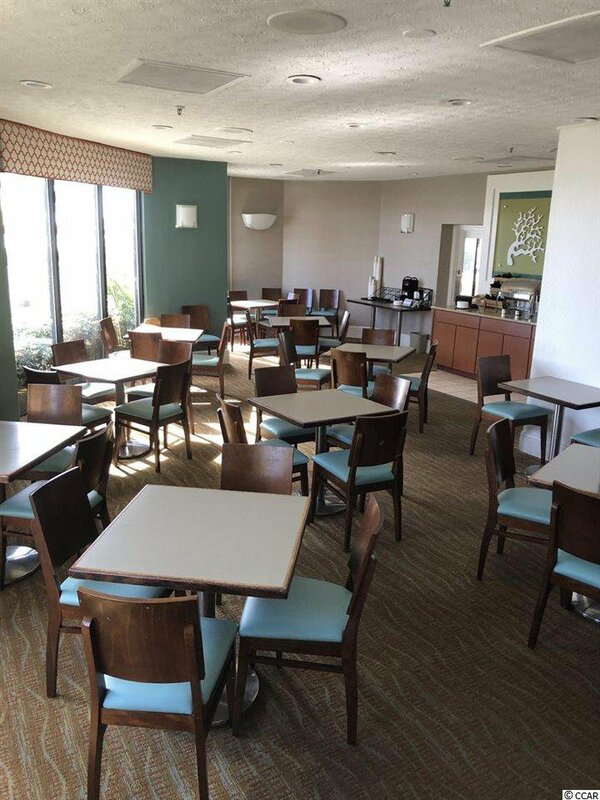 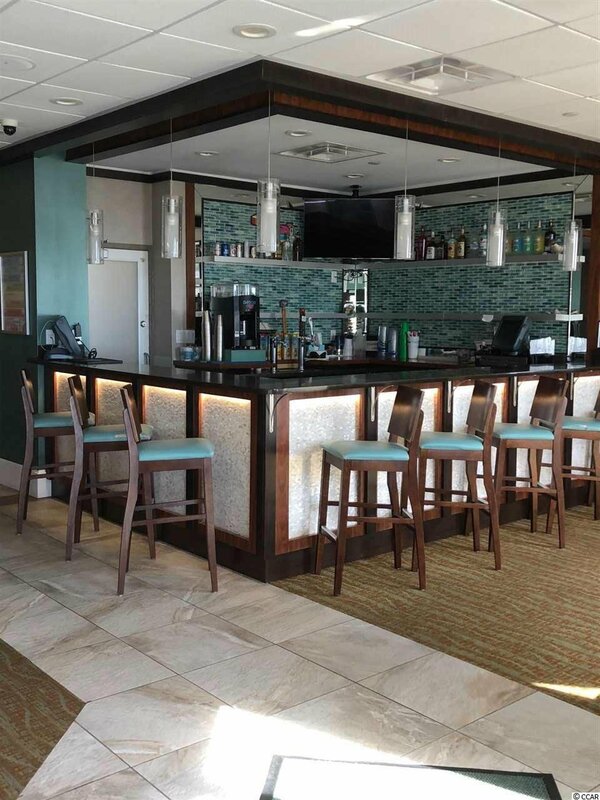 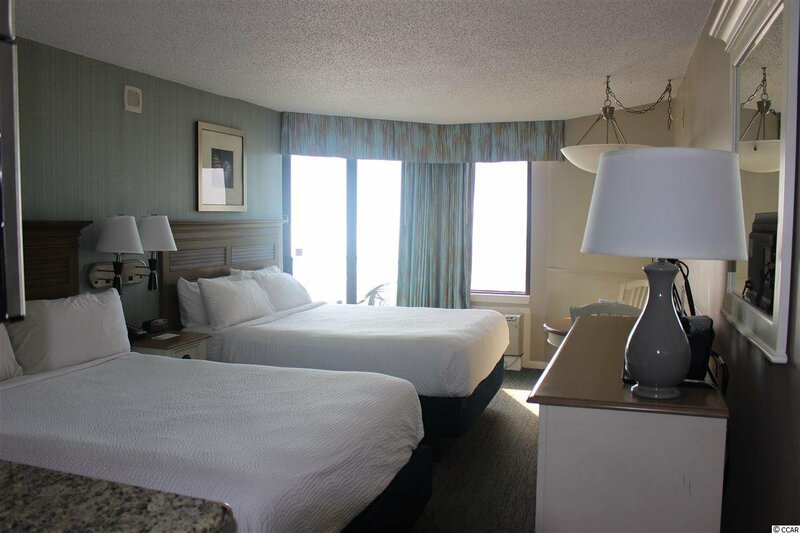 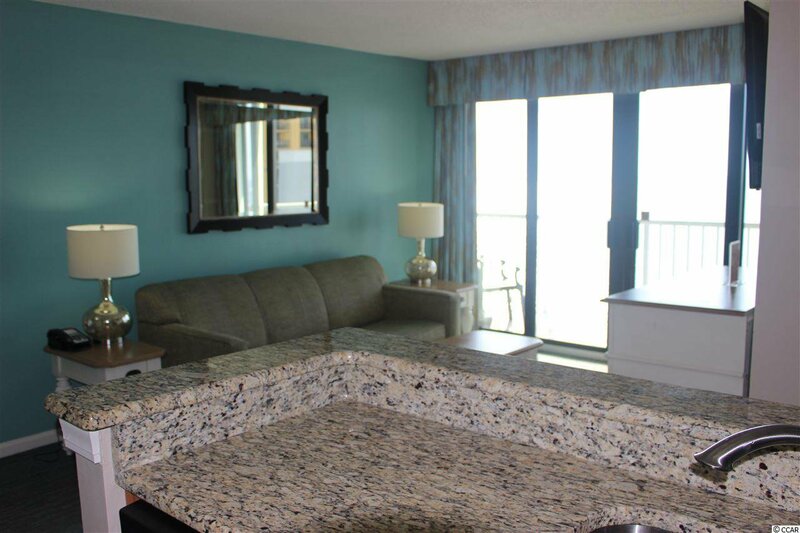 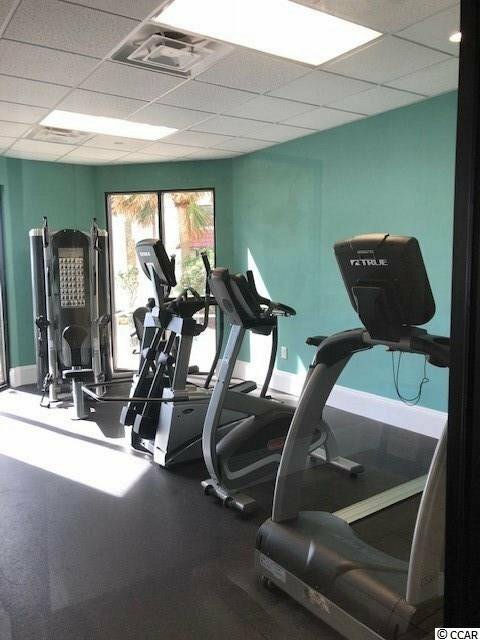 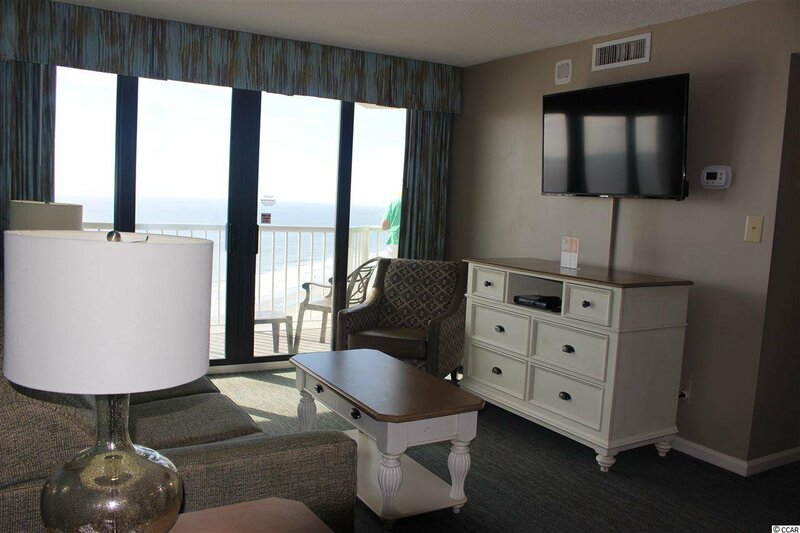 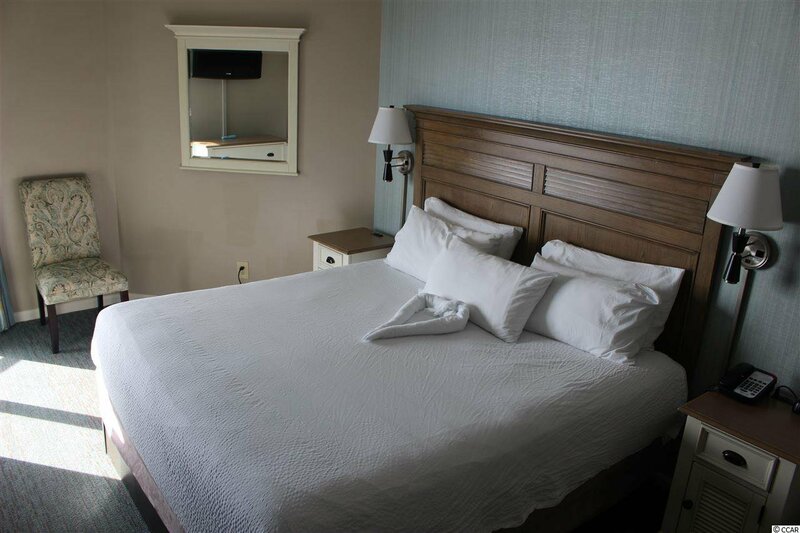 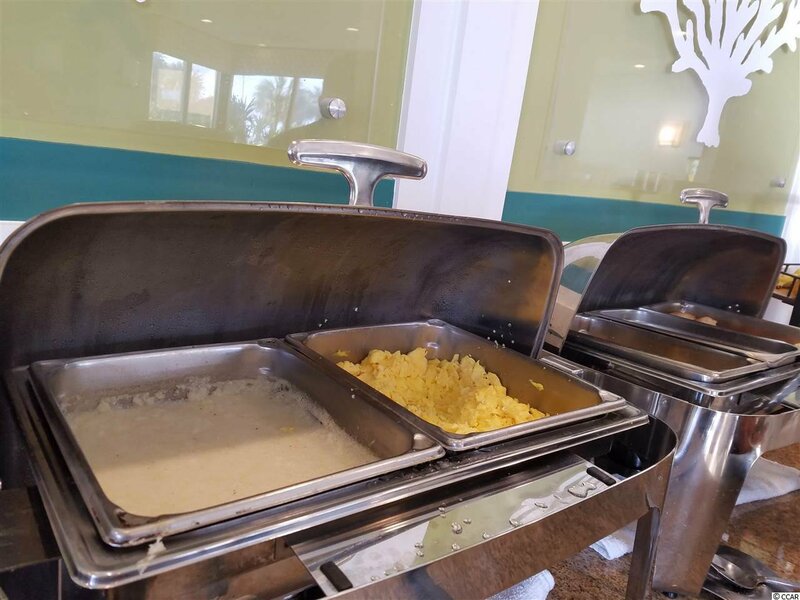 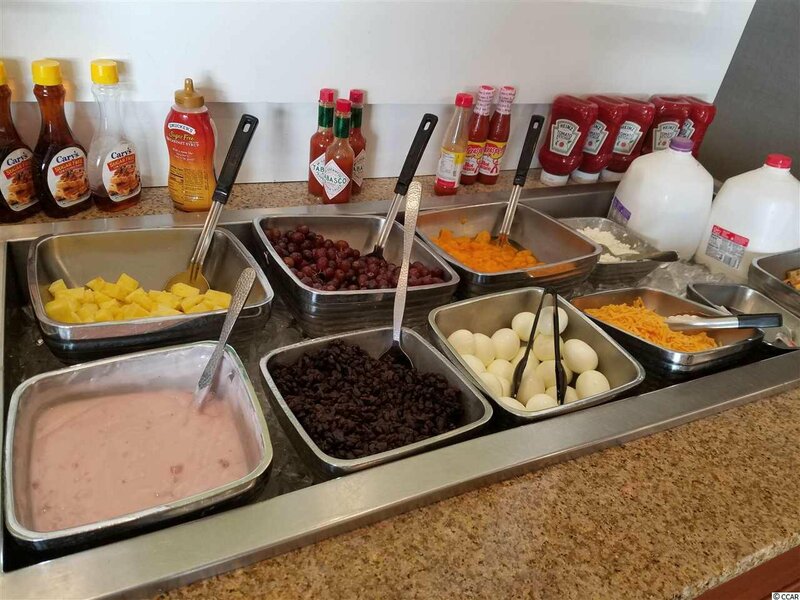 You'll get to enjoy all the amenities each Breakers resort has to offer! 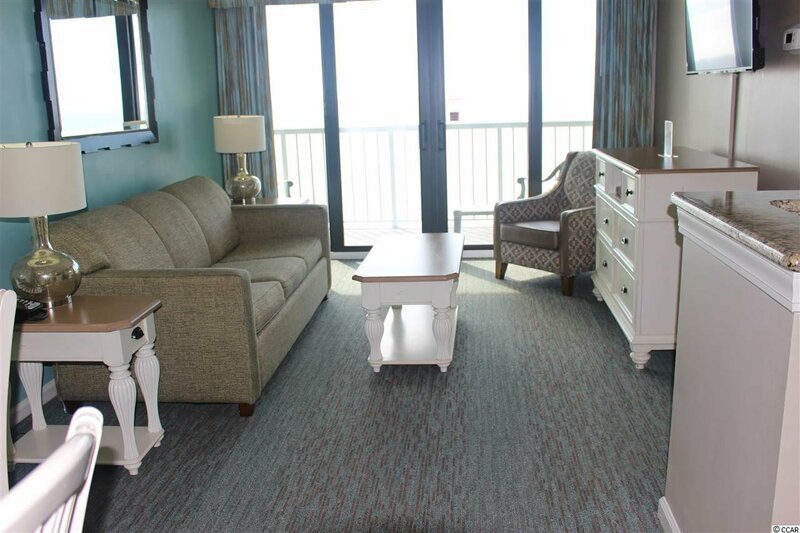 This unique ocean front property at The Strand Boutique Resort has two units with a lockout. 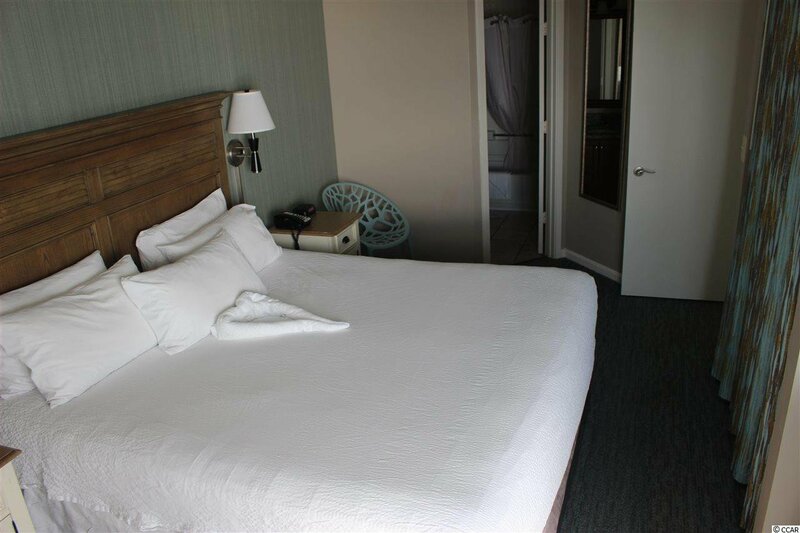 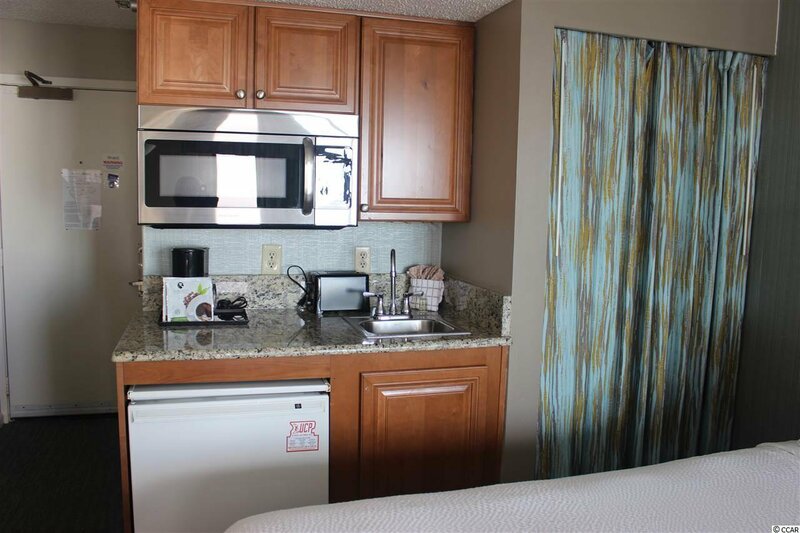 The larger unit has a separate bedroom with a King bed, full bathroom, closet space, wall mounted TV, and access to a larger balcony off the living room. 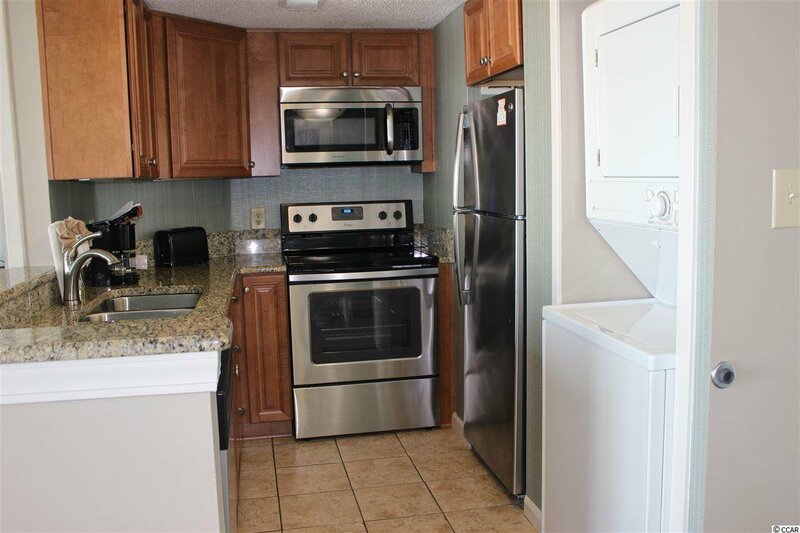 It also has a fully renovated kitchen with stainless steel appliances, under cabinet lighting, granite counters with a breakfast bar, a full size range, a dishwasher, microwave, refrigerator, as well as lovely newer cabinets, a dinette, plus washer and dryer! 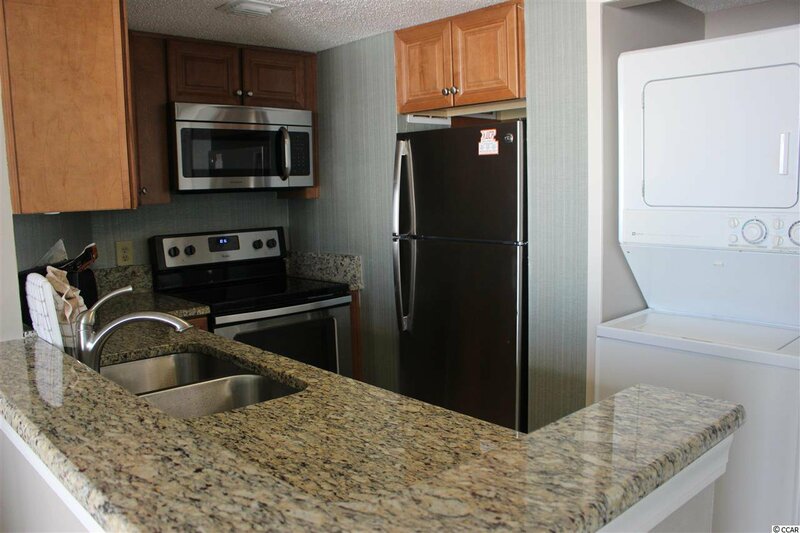 Stand at the kitchen sink and watch the boats go by! 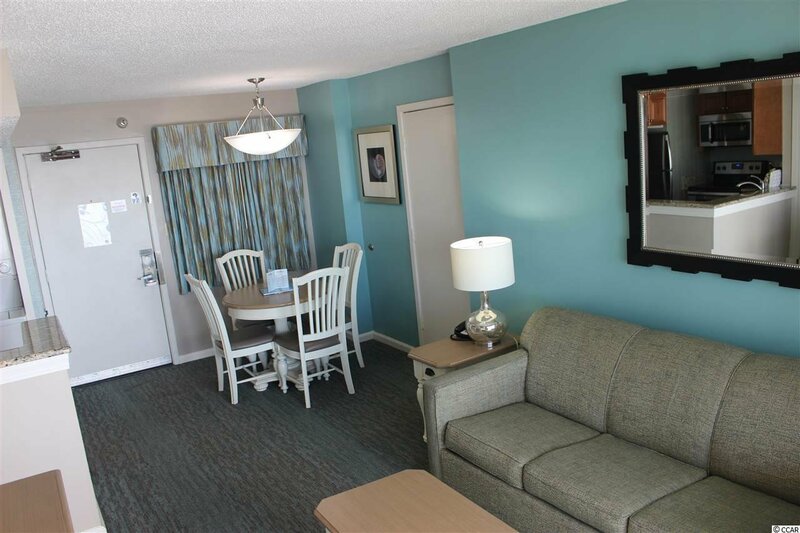 The living room has a sofa sleeper with a new comfy mattress and a wall mounted large screen TV! 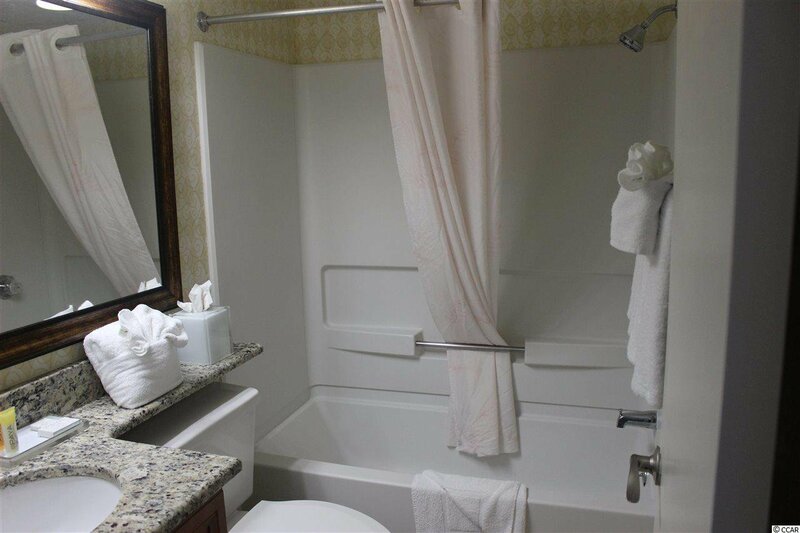 It even has central air and heat! 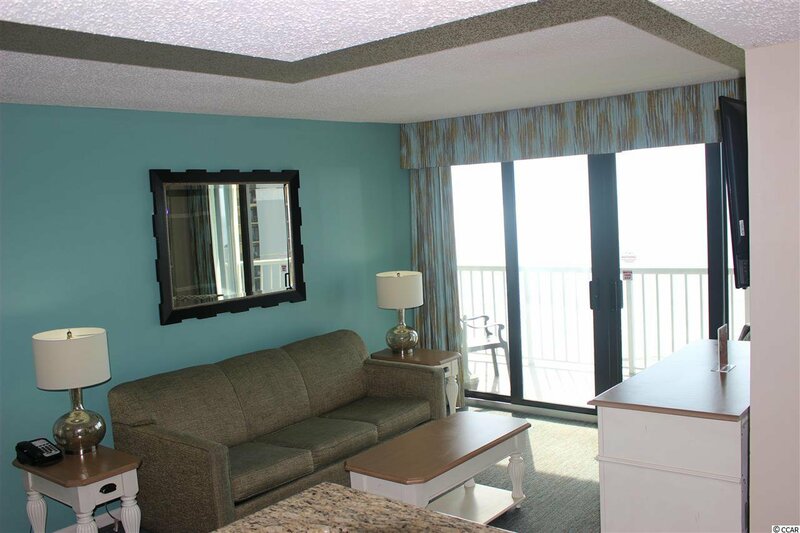 You'll love the beautiful unobstructed view of the blue Atlantic from almost anywhere in the space! 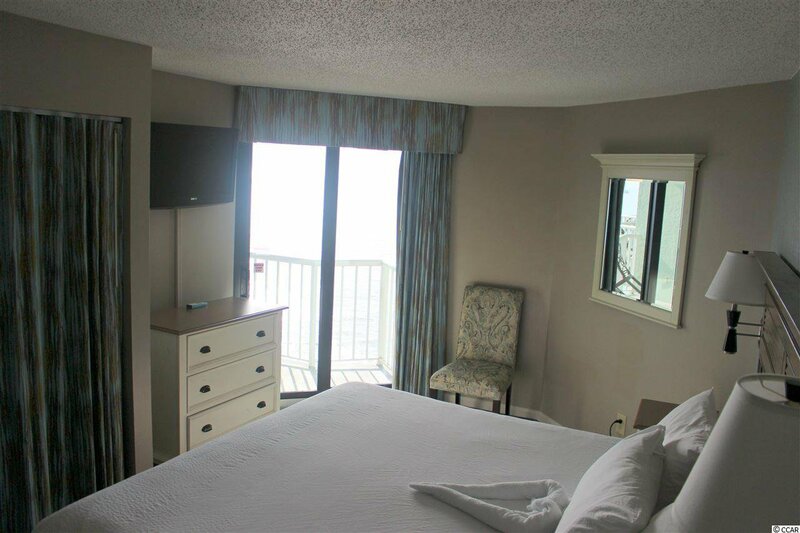 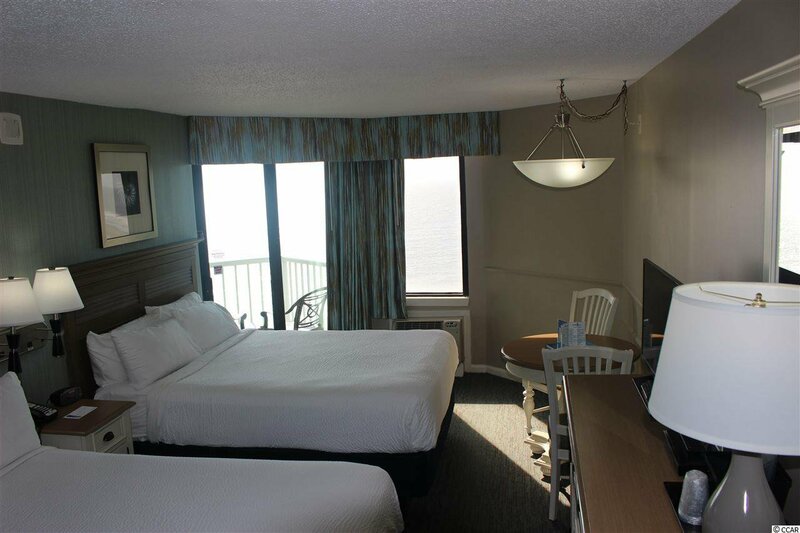 Catch the sunrise from your pillow from either bedroom or from one of the two balconies! 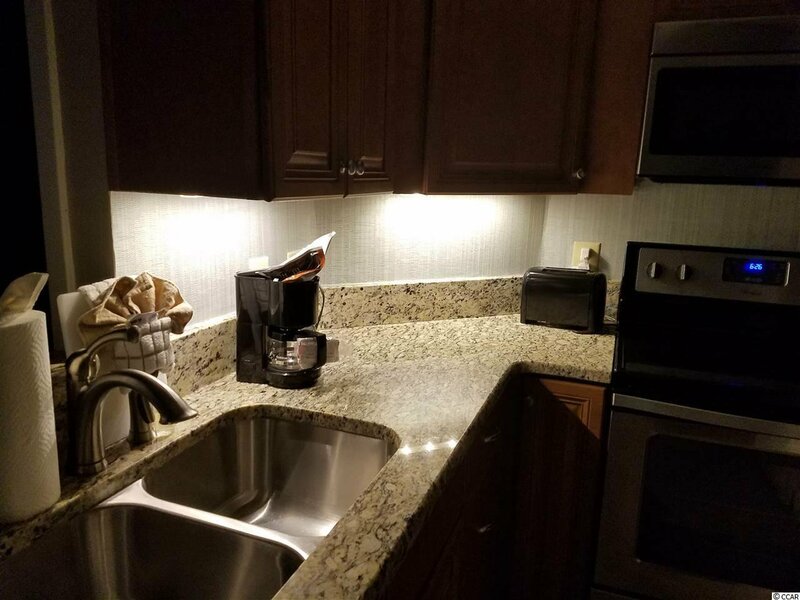 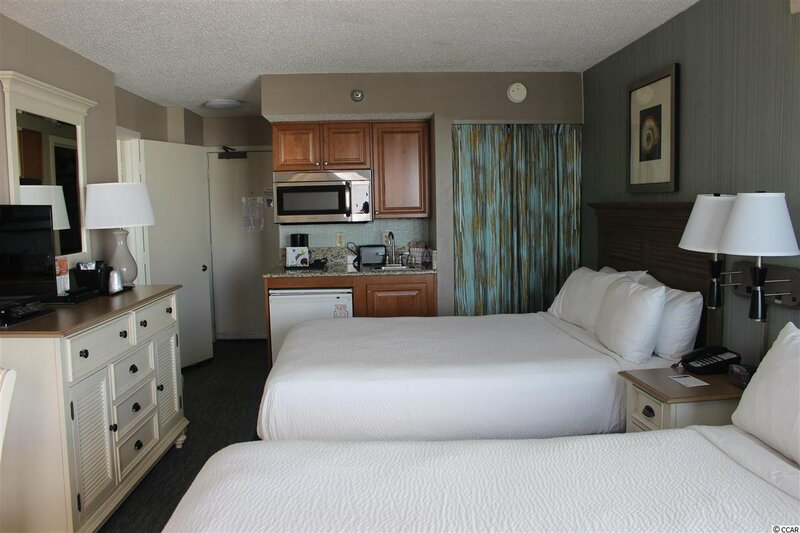 The smaller unit that is connected with a lockout door has 2 queen beds, a kitchenette with a mini refrigerator, granite counter w/sink, lovely cabinets, and microwave oven. 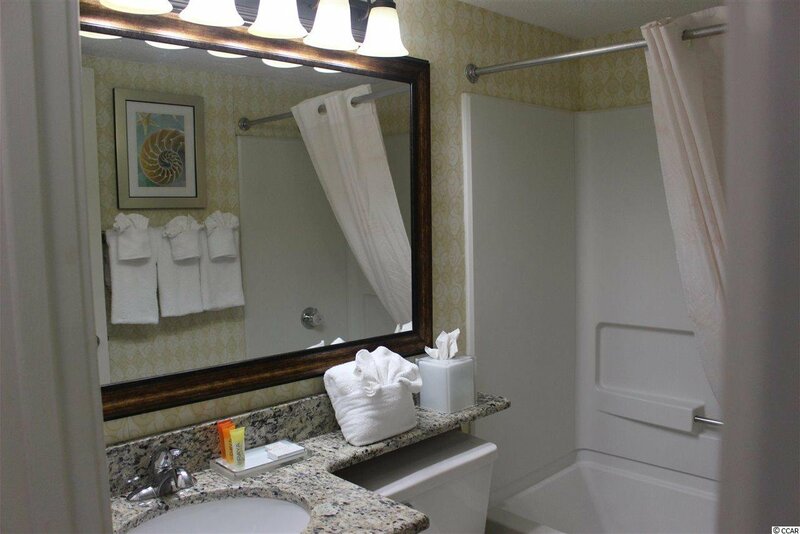 You'll also find closet space, a private bath, and dinette, as well as it's own private smaller balcony with a beautiful view! 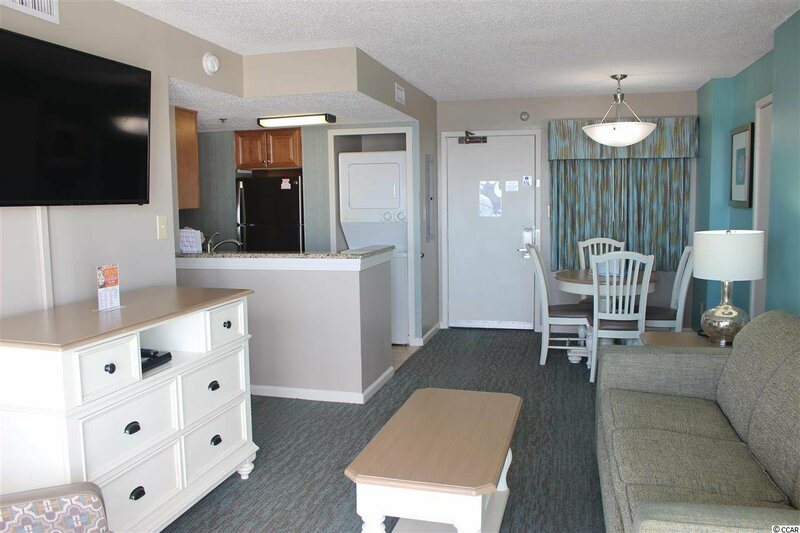 Stay in one and rent the other! 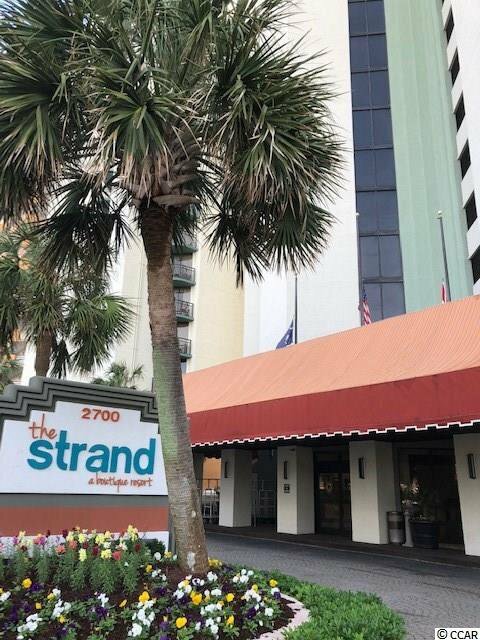 The Strand Boutique amenities include 2 pools, complimentary full breakfast every morning, exercise room, computer stations, free movie rentals, a lounge with a bar featuring Happy Hour and more. 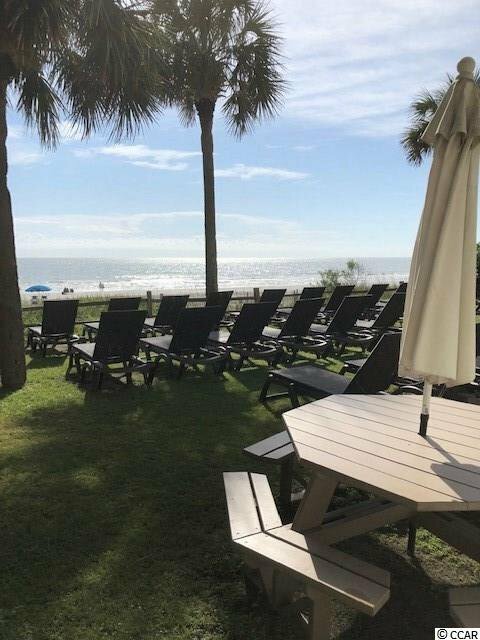 Beautiful grounds, warm pools to enjoy even on the cooler months, and a stunning stretch of the beautiful beach for your enjoyment. 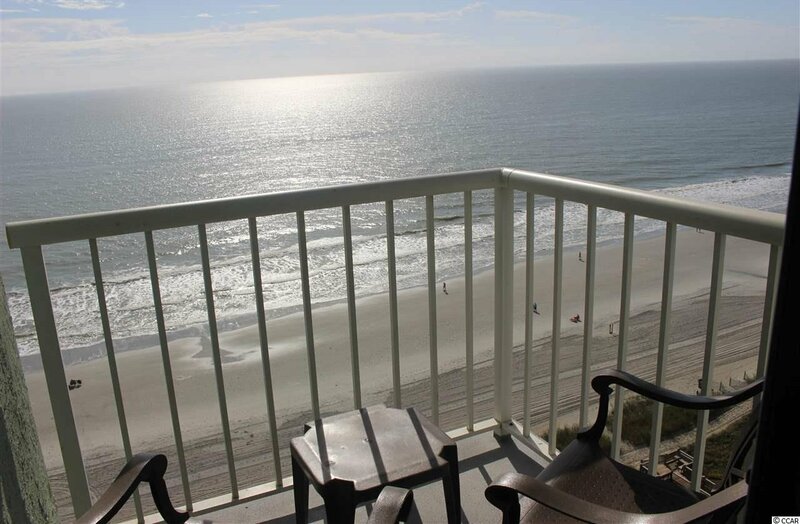 Excellent location, minutes to Broadway at the Beach, The Boardwalk, Restaurants, Shopping and Entertainment! 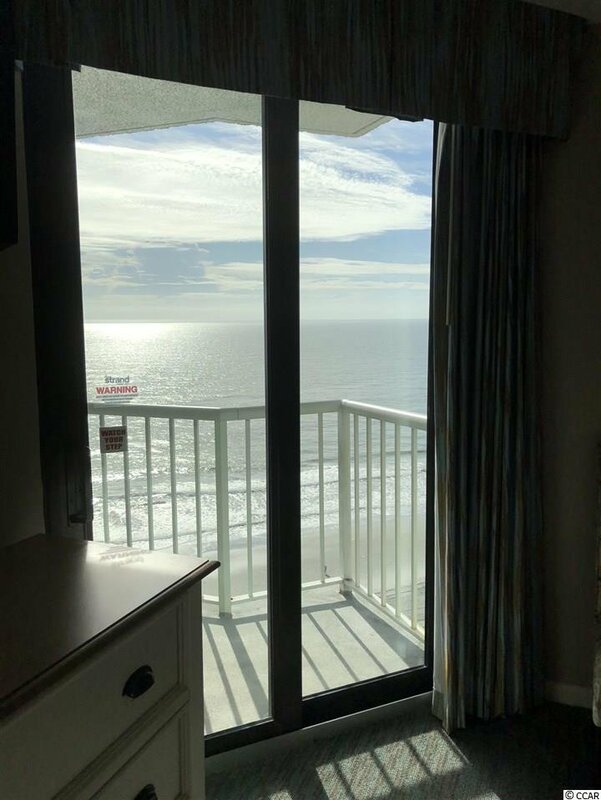 True Ocean Front! 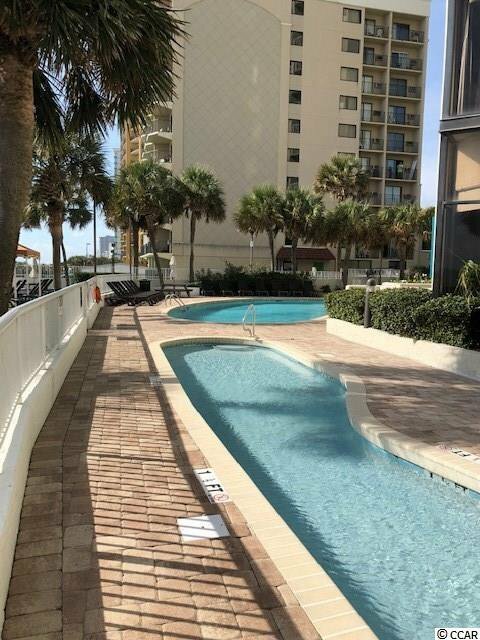 Listing courtesy of Realty ONE Group DocksideSouth , Mary Albach. 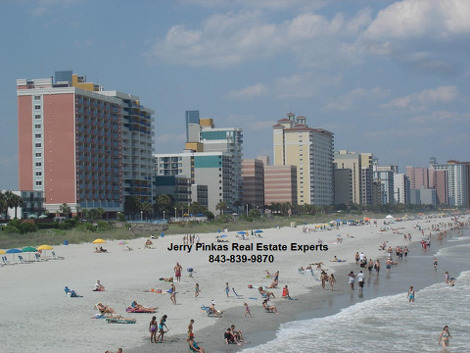 Selling Office: Century 21 The Harrelson Group , Jill Lindstrand.